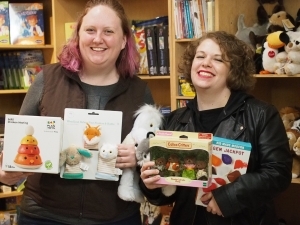 Seattle’s self-declared “most charming toy store” is co-owned by Brittney Geleynse and Ashley Church. Clover’s huge selection of children’s toys, games, costumes and even miniature instruments make it fun and easy for kids to be kids! Co-owners Brittney Geleynse and Ashley Church first met through a game of Magic: The Gathering. Soon after, they became troop leaders for the Girl Scouts, and before they knew it, they were buying Clover Toys together. Their backgrounds complement each other: Brittney was already a small-business owner, running the boutique Jax Joon across the street, while Ashley had spent her whole career in the toy industry. Right at the beginning of October, the duo re-stocked empty shelves and prepared for the busiest time in toy store sales: the holidays. And now that they’ve weathered the storm, they have some big plans. 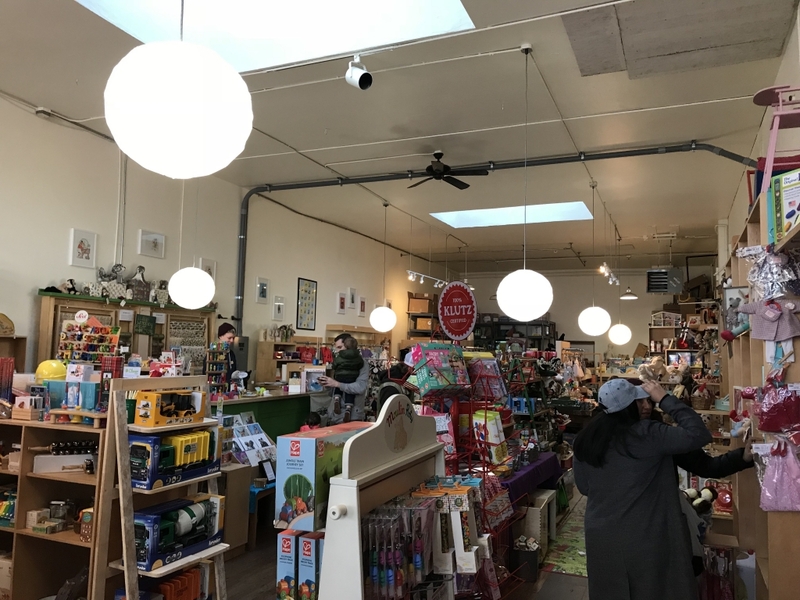 “We definitely just want to be able to run regular events, as far as maybe having people come in, maybe local authors coming in to do storybook time, having children’s musicians come perform. We love having little parties,” said Ashley. The duo is also hoping to build an in-store play area, and is looking into partnerships with other nearby businesses. Ashley and Brittney are both motivated by their grandparents’ success as small business owners. Brittney’s grandfather has owned a corner store in the middle-of-nowhere, Wyoming for decades. Clover’s original owner, Sarah Furstenburg, left the business to become a special ed teacher. Coincidentally, childhood education is where Brittney started. “She and I kind of flipped places in the universe,” Brittney smiled.